Riyad Mahrez, a name which became famous for his great dribbling skills and excellent stamina on the field is now considering a move away from the club, which won him the title of his dreams, a season ago. 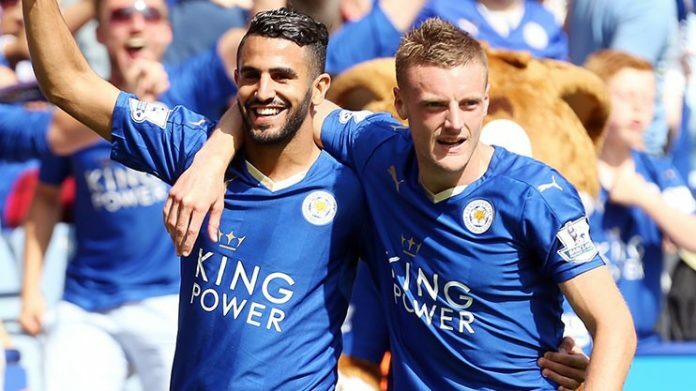 Yes, Mahrez wants to leave Leicester City, prior to the start of the new term. This might be a concern for the Foxes, as it will be very hard for them to keep the Algerian in the blue shirt for yet another season, knowing what the kind of attention he has been attracting in recent times. Due to his impressive performances over the past two seasons, Mahrez has got attention from the best clubs in the world including FC Barcelona. However, there are no offers still made for the Algerian. Arsene Wenger was very much interested in this player last summer too, but the then English champions had the power to keep him. Though, it is now possible that we can see the 26 year old attacker in the “Red Shirt” next season, as it is a very different atmosphere now. The attacking midfielder is valued highly nowadays and would cost a good sum of money to his potential buyers, though his admirers would surely be ready to pay that sum. Therefore, it might be a good compensation for Leicester as they will be looking for his replacements next season. The Algerian has played 51 games for Leicester this season scoring 12 goals and assisting 5 goals and a recent report has suggested that Chelsea had joined Arsenal and Barca in the race to acquire his services. His talent became widespread when he became one of the main reasons of Leicester’s dream run in the Champions League this season, where he scored 4 times and assisted twice. Arsenal Make £22m Offer For Former Chelsea Star, Despite Lacazatte Signing?